You'd think I would test this stuff before posting... but, you'd be wrong. 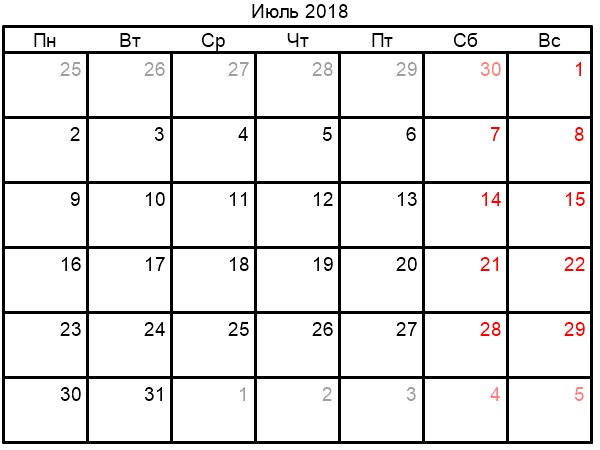 Great calendars, thank you for sharing. 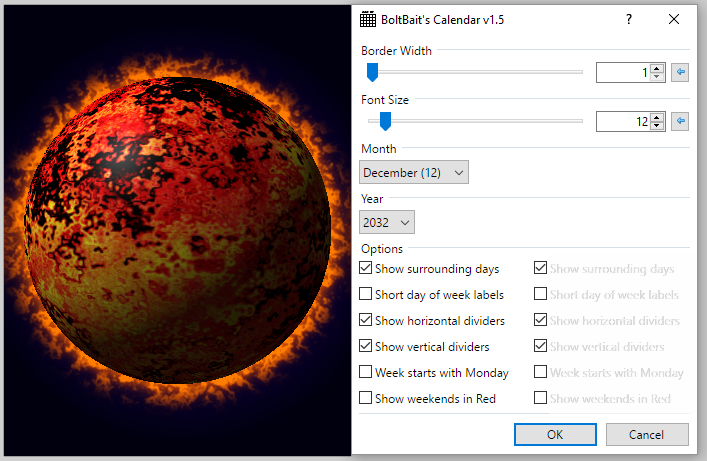 A few lines in CodeLab and we have a Calendar Creator with a "Red" Days (weekend). Of course, it's not an optimum code and somebody could correct it. I have corrected the code and included red weekend option in v1.5. It's grandiose! 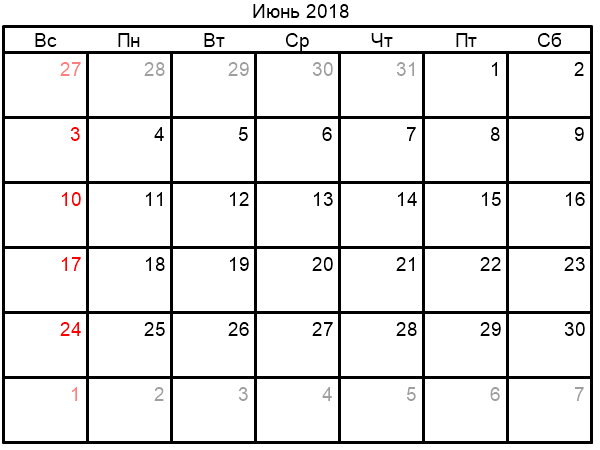 Now this is a full calendar. I don't like long UIs either. That's why I avoided using Color Wheel. I will delete my post above because that's fair play. I don't mind you guys building on what I post. Just be warned, when I put this into my plugin pack, it will be the version I posted. BB, is your plugin. That's fair play. Undoubtedly, if you wanted to, you would have put the color options. You are much more capable of coding than we are, so we have to respect your choice. I just noticed that the world as we know it has an expiration date. Maybe someone will make a movie. There is also some room for more options on a second column. There is also some room for more options on a second column. IndirectUI doesn't allow for a second column of checkboxes. It may sound like a good idea, but would run into issues with localization. ie: in some languages, the labels might be a lot longer in length, and would get clipped. EDIT: Nevermind, IndirectUI doesn't clip text; it wraps it. in some languages, the labels might be a lot longer in length, and would get clipped. Feature request: a combobox with checkboxes! I just noticed that the world as we know it has an expiration date. It means next year the last choice in the list will be + 1 (2033). I would finally know what day I was born. Thank you for the calendar @BoltBait ? Do you want to change the color of the weekend? I want to change the overall color. by default it is black. 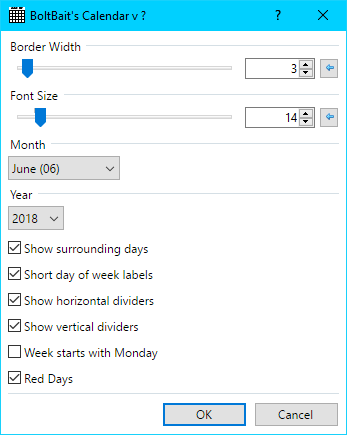 Render the calendar to it's own layer.